Adults suffering from liver disease of unknown cause represent an understudied and underserved patient population. 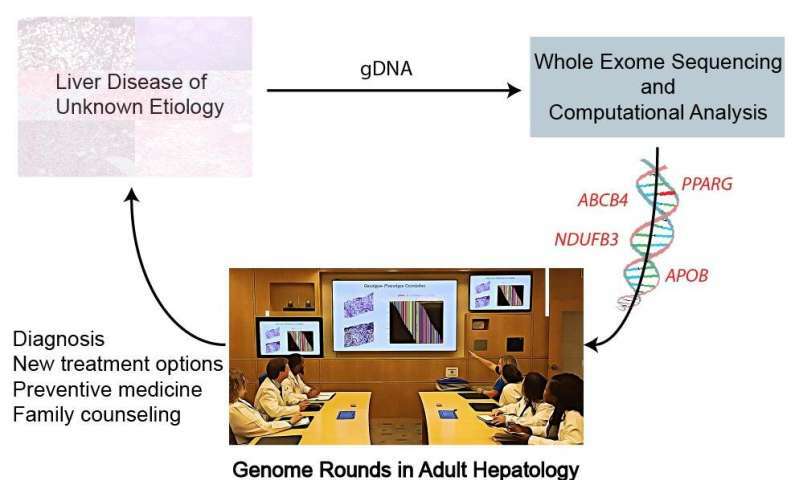 A new study reported in the Journal of Hepatology, supports the incorporation of whole-exome sequencing (WES) in the diagnosis and management of adults suffering from unexplained liver disease and underscores its value in developing an understanding of which liver phenotypes of unknown cause in adults are genetic. Chronic liver disease is a significant health problem affecting more than four million people in the United States and leading to over 40,000 deaths annually. It often remains undiagnosed for many years unless there is awareness of subtle clinical signs, behavioral risk factors, and/or investigation of abnormal liver function tests. In many patients, by the time overt manifestations of chronic liver disease emerge, liver injury has already advanced resulting in portal hypertension or hepatic decompensation. 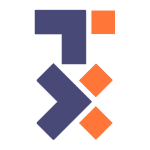 WES, which consists of sequencing all the approximately 20,000 human protein-coding genes, is attractive and suitable for clinical use and translational research studies. "Advances in human genomics through next generation sequencing technology have created an unprecedented opportunity for genetic investigation and clinical diagnosis," explained lead investigator Silvia Vilarinho, MD, Ph.D., Assistant Professor of Medicine (Digestive Diseases) and Pathology, Departments of Internal Medicine and Pathology, Yale School of Medicine, New Haven, CT, USA. "However, to date, most studies that investigate the use of next generation sequencing technologies in diagnosis and personalized medical care have been performed in either pediatric or cancer patients. The clinical utility of these approaches for a broader spectrum of diseases among adults remains poorly studied." Investigators assessed the utility of WES in diagnosis and management of adults with unexplained liver disease despite comprehensive evaluation by a hepatologist and with no history of alcohol overuse. They performed WES and deep phenotyping of 19 unrelated adult patients with idiopathic liver disease recruited at a tertiary academic healthcare center. Analysis of the exome in 19 cases identified four monogenic disorders in five unrelated adults, enabling new treatment. This strategy also shed further light on genetic contributions, and therefore underlying molecular pathogenesis, across different forms of liver disease that are clinically indistinguishable through conventional diagnostic approaches. "This study provides evidence that a subset of adult patients who suffer from liver disease of indeterminate etiology with or without other comorbidities harbor an underlying Mendelian disorder, which may be unrecognized during their entire childhood until genetic testing is performed," commented Dr. Vilarinho. "Our data highlight the importance of using WES in the investigation of liver disease of unknown cause so that we may start developing an understanding of what clinical presentations or diseases are genetic and may remain undiagnosed until adulthood." "WES testing is transforming the medical practice of undiagnosed diseases," commented Filippo Pinto e Vairo, MD, Ph.D., Center for Individualized Medicine and Department of Clinical Genomics, and Konstantinos N. Lazaridis, MD, Center for Individualized Medicine and Division of Gastroenterology and Hepatology, both at the Mayo Clinic, Rochester, MN, USA, in an accompanying editorial. "Of note, the current cost of clinical grade WES testing and interpretation is comparable to some advanced imaging exams (such as MRI) or endoscopic procedures that we already use in practice." "Based on the experience of Dr. Vilarinho and colleagues, and our own work within the Mayo Clinic Center for Individualized Medicine, we strongly advocate the use of WES testing in the clinic for adult patients with idiopathic liver disease, who have onset of symptoms at up to 40 years of age. Moreover, discoveries from such testing could also assist the individualized management and follow-up of these patients," concluded Dr. Lazaridis.